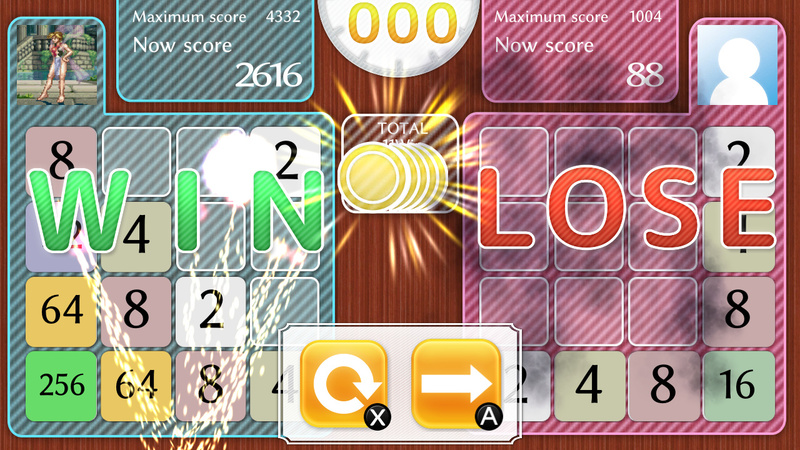 Not long after the bizarrely-named and pretty dull card game Physical Contact: SPEED made its way onto the Nintendo Switch eShop with little fanfare in July, other than a weird and slapdash trailer, Collavier is at it again with a similarly (bizarrely) named sequel of sorts, this time focusing on the number puzzle genre. Despite sounding like a science fiction spin off movie, Physical Contact: 2048 at least has a tiny bit more correlation regarding its title, as this time round you are presented with a 4x4 grid and start out with a pair of tiles, each bearing the number 2. Pressing one of the direction buttons will shift all the tiles in said direction, only for another to appear. 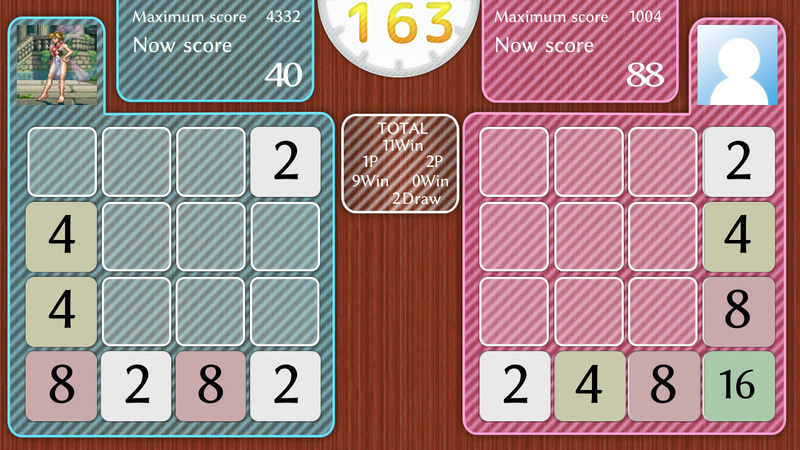 Upon sliding (or 'placing') two tiles of the same number on top of each other, they double in value and change colour. From 2-4-8-16 and so on. 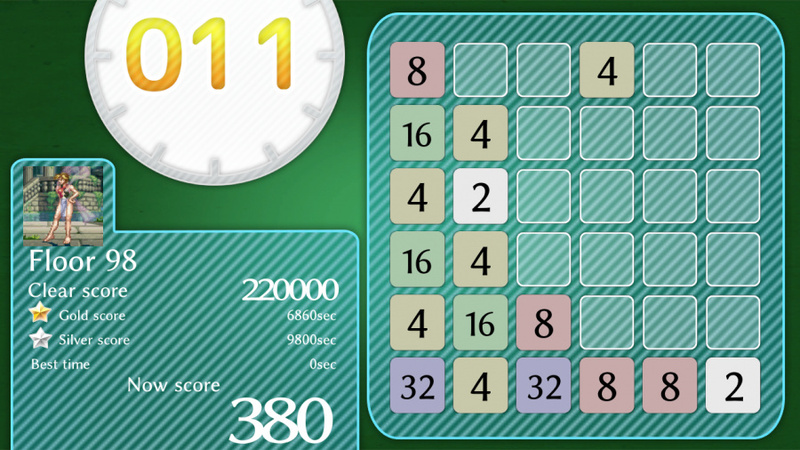 The objective is to reach a certain score before all of the grid is filled. If any of this sounds familiar, that's because the format is pretty derivative by this point, especially on iOS. Breakthrough hit Threes! 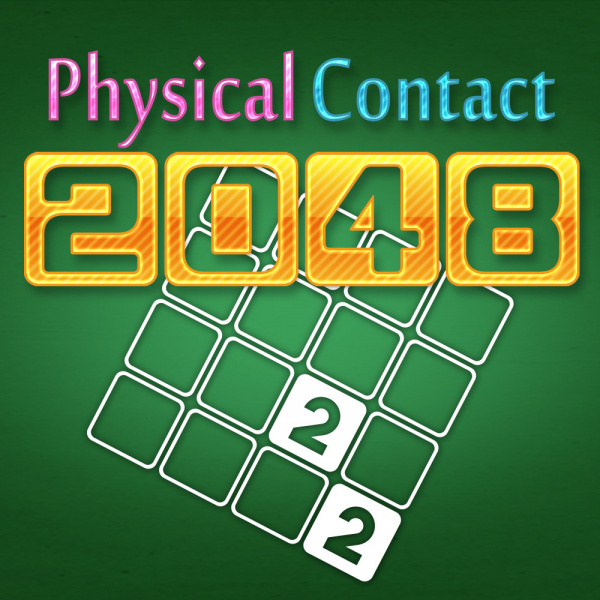 and even recent Nintendo Switch contemporary Levels+ have remarkable similarities in gameplay, yet Physical Contact: 2048 has not only failed to adopt any of the elements which push the aforementioned to the front of the portable, time killing queue, but is one of the best (or worst) examples of lazy game making. The flaws found in 'prequel' Physical Contact: SPEED are immediately apparent again, because this later release copies and pastes most of the same assets. The iffy localization, the same oddly eclectic avatar jpegs of varying resolution, the same 'not so leaning tower of Pisa' used as the fighting game style progression, the same soundtrack, the same drab presentation, interface and bare bones options - score within a certain time (from 4 options) in Arcade and two player, with achievements thrown in. The controls are the same, too; use the left Joy-Con to move the tiles and that's your lot. At least there is a bit more emphasis on player interaction, if nothing else. It's a game that can have varying degrees of strategy and skill, yet the gameplay still comes across as uninspired. There is a sense of satisfaction stringing together combos north of 64, and the later levels reach pretty hefty score targets, but there are plenty of deeper and much more polished experiences available on the Switch store. To the uninitiated, it may kill an adequate amount of time due to its familiarity and the Nintendo Switch's local multiplayer-focused hardware, but any redemption 2048 has over its predecessor in terms of actual fun is eradicated due to the general production values and quality of its presentation. While the derivative tile puzzle gameplay is solid if unspectacular, dragging and dropping all of the avatars, skins and menus across from SPEED gives a good idea of the quality on offer in presentation. The merits of the Switch hardware with this format also can't rectify the lack of modes, slapdash interface or general lack of imagination on display - a disappointing title all around. Double up could be an apt description of the Switch. Bought the Wii U version of a game? Double up and buy the Switch version as well for yet more money. @SuperCharlie78 He's currently plaguing the New 3DS. Because gosh darn it the regular 3DS can't handle his CPU killing games. This looks.. pointless. But alas makes Levels+ look so much better, and that gem of a time killer needs more love. @SLIGEACH_EIRE Just like every new console generation. It was awful when the PS4 first came out and pushed you to buy the exact same game again, but in 1080p! I don't remember much but did the older generation of consoles have as many "upgraded" ports? I downloaded this the other day being a fan of 2048 style gameplay (I have the aweaome 0-to-X homebrew on NES). Was it a mistake? At least the game is cheap enough. If they could stuff a dozen or so of these fairly mindless, Flash-game-esque puzzlers into one package and it still only cost a fiver, I might well be interested. @SuperCharlie78 I wouldn't say that, since there is more than just the base 2048 game. (Whereas RCMADIAX just buys Unity assets to resell) There is a new structure put in place. Problem with Collavier's work is that that structure doesn't work with 2048. Unprofessional graphic design and recycled assets from another game makes this unappealing to me. It's not as bad as RCMADIAX's output on Wii U and New 3DS, but it certainly looks like Top 10 material for the "Weakest Switch Games": This, along with its brother Physical Contact: SPEED, the boring Vroom in the night sky, the glitch-load that is Troll And I, and the mismanaged unbalanced NBA 2K18. I was close to buy Levels+ on Switch though, a similar game from a different company which is the same price but looks much better. @XenoShaun Yeah, there's no bigger indictment of just how lazy a developer RCCAPSLOCK is than that rather than build his games from the ground up for 3DS and its large install base, he chooses to stick with the development tools he uses for Wii U (Unity, I assume), even though it means he's limited to New 3DS and the fraction of the audience that it provides. I imagine he also enjoys being able to say "only for New 3DS"; and while that's obviously true, everything it implies is an outright lie. What the hell did you expect from a $5 2048 clone. If it plays good ol' 2048 for a cheap price, then sounds good to me. But yeah, coming from that developer, looks like a quick moneygrab with little to zero effort put into it. 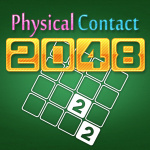 Guess I'll wait for a proper 2048 game, like the 3DS one. At the moment, I really like Levels+ tho!